Hockley is a common surname, so its possible that this area was named after a previous landowner or resident like the following examples. Matkins Yard, Peakes Yard, Parkins Yard, Bostocks Yard etc. I will update this page when I get further information. Fig.1 This map from 1881 shows the location of Hockley Yard just off Alfreton Road. It as changed very little. 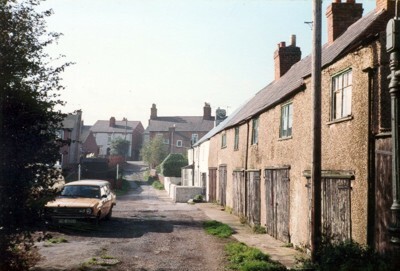 Fig.2 This picture was taken in the early 1980s and is looking back up Hockley Yard towards Alfreton Road. You can see the row of One-Up,One-Down cottages are still there but have been converted to garages. The nearest one to the camera still had its original cast Iron Oven and staircase fitted at the time of this photograph. Also note the old cast Iron Lamp post (right hand side) now gone. The Morris Marina estate car belonged to a Mr Bryans, who owned a market garden just out of picture to the left. The following paragraphs are transcribed from Joseph Millot Severns book "My Village and are a description of Hockley Yard when he was a boy in the mid 1860s. The next turning beyond Mr. Parkin’s house is a little country lane called Hockley Yard. There were only about six houses on the left going down. This lane carries my mind back over seventy years. There are those who contend that it is impossible to remember events occurring in one’s life as early as two and a half or three years of age, but I have distinct memories of going to a dame’s school here, when I was not much more than two and a half years old. I can even now visualise the small room and the wooden forms, and the other children, and particularly the schoolmistress. She had a bright, oval face, hair precisely parted in the middle, and neatly brushed to the sides, with chignon at the back in the early Victorian style. She was tall and thin, very genteel and pleasant, and wore a crinoline. Until then I had seen but few picture books. The one I most remembered was a kind of history book, containing pictures of kings and queens, and as I looked at my schoolmistress with some sort of feeling of admiration, I concluded that she, too, must be a queen. On one of my visits to Codnor when more than fifty years of age, I was walking leisurely down the lane and looking at the little cottage where at that early age I went to school, and a little further on is another fairly large house, in which old Mr. Brunt, who for many years officiated as clerk at Codnor Church, lived, and there a man was standing at the gate. I did not know him, but we got into conversation, and I told him it was at the little house above that I first went to school, and that I often wondered what had become of the young schoolmistress who then kept the school. “That schoolmistress of yours,” he said, “was Mr. Brunt’s daughter, and is my wife, and if you will step inside she will be pleased to see you.” Amazed to think that she was still alive, I did so, and to my intense delight, there she was, now stout and matronly, sitting in an arm chair ; but I at once recognised her features, and she told me how she remembered me as a child. It was a happy meeting. Here, in Hockley Yard, lived another interesting character, old Fanny Jepson. She was a very simple-minded woman, a talkative, quiet grumbler, but good-natured and honest. She could not afford crinolines, and being tall and erect added to the comicality of her appearance beside other women in the sway of fashion; for quite poor people, and girls in their ’teens then wore crinolines. Fanny and her husband, old Tom Butler, farm worker at Mr. Stirland’s, lived in the old stone house in Hockley Yard. It must originally have been a house of some distinction, for whilst it was low and thatched, it had quite important looking stone jambs and arched doorway, heavy oak door, with long iron hook and eye hinges. The interior, too, had a distinctly archaic appearance, with its nook fireplace and stone flagged floor. There was scarcely any other small building more ancient in appearance and design. It may have some ecclesiastical origin, or have had something to do with one of the approaches to Codnor Castle, a mile and a quarter away. Its foundation is too substantial for an ordinary cottage building. Though it has something in common with the stone built farmhouse close by, I think it would be worth the investigation of local archaeologists. Beyond looking after her husband’s domestic needs, which were not great, seeing that he worked on the farm early and late, and had his meals there, Fanny’s only occupation was attending to a small vegetable and flower garden across the road in front of her house. Surplus flower roots she sold to neighbours. I always got on very well with Fanny, and occasionally bought a few flower roots from her with my scanty bit of pocket money. Perhaps I better understood her than some of her neighbours who, regarding her as being non compos mentis, teased and plagued her a good deal, so that she did not venture out of the yard very much. Fanny lived in very poor circumstances. Many years after Tom, her husband, died, small as was the house, she had to move to a poor little hovel of a place, a little higher up on the other side of the road, where she lived more or less in poverty and loneliness. Joseph Millot Severn describes Taylors Barn as “a favorite place for picnicking and social parties, particularly in haymaking time”. Taylors Barn no longer exists. My Village, by Joseph Millot Severn.